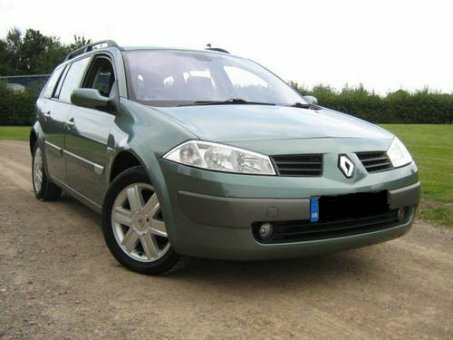 2005 Renault Megane! Remote Central Locking, Front Electric Windows, Electric Mirrors, ABS, Air Conditioning, Power Steering, Drivers Airbag, Passenger Airbag, Immobiliser, Alloy Wheels. An excellent example of these incredibly economical and spacious small estate cars. Huge load area for the size of the car. The vehicle drives superbly, smoothly and quietly with no knocks or bangs. Comes with evidence of some service history and it has clearly been looked after.